This ground-breaking feature length movie presentation reveals The Great Secret of the universe. It has been passed throughout the ages, traveling through centuries… to reach you. This is The Secret to everything-the secret to unlimited joy, health, money, relationships, love, youth: everything you have ever wanted. In this astonishing program are ALL the resources you will ever need to understand and live The Secret. For the first time in history, the world’s leading scientists, authors, and philosophers reveal The Secret that utterly transformed the lives of every person who ever knew it… Plato, Newton, Carnegie, Beethoven, Shakespeare, Einstein. Now YOU will know The Secret. And it can change your life forever. 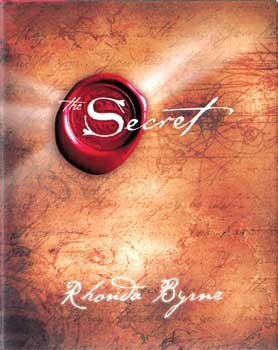 Rhonda Byrne’s discovery of The Secret began with a glimpse of the truth through a 100-year-old book. She went back through centuries, tracing and uncovering a common truth that lay at the core of the most powerful philosophies, teachings and religions in the world. What Rhonda discovered is now captured in The Secret, a film that has been viewed by millions around the world. The Secret explains with simplicity the law that is governing all lives, and offers the knowledge of how to create-intentionally and effortlessly-a joyful life. This is the secret to everything-the secret to unlimited happiness, love, health and prosperity.